E15 and after students: If RUOP, PCP or GHIP were not completed in pre-clinical years then can complete 2 weeks or 4 credits in an underserved clinical setting in Phase 3. *For expanded students or those working on their PhD, please contact the UP Program Manager. Scholarly Project: III focused on issue affecting underserved population(s). III completed on RUOP or GHIP automatically qualify. If a student does not complete all requirements by March 31 of their graduation year, their certificate will not be noted in the graduation program. Students have until April 25 to complete all of the UP requirements in order to earn a certificate. The Underserved Pathway (UP) mentorship is intended to be a longitudinal mentoring experience, our expectation is there will be mentoring by one or more providers who care for the underserved for all the years of medical school. The Underserved Pathway mentorship is mandatory, and students will take the lead in identifying a suitable mentor. Mentors may be physicians or other health professionals (one or more) with whom students have an existing mentoring relationship or with whom they wish to develop a relationship. Providers must work with underserved patient populations or communities or have a significant history of working with underserved populations in the past to qualify as an Underserved Pathway mentor. All enrolled students must be matched with a mentor by the end of fall during their second year (E14 and before), or by the end of the Life Cycle & Reproduction Block (E15 and after). This gives students a chance to explore possibilities through preceptorships, the colleges, RUOP, GHIP, service learning experiences, etc. Many Foundations Phase students will be matched earlier in the year if they identify an appropriate mentor. Students enrolling after fall during their second year (E14 and before), or by the end of the Life Cycle & Reproduction Block (E15 and after) need to show mentorship over time prior to enrolling, see below for more specifics on UP enrollment policy. Contact the Underserved Pathway Program Manager at upath@uw.edu if you have any questions about UP mentorship or enrollment. All first and second-year preclinical students are accepted into the Underserved Pathway. 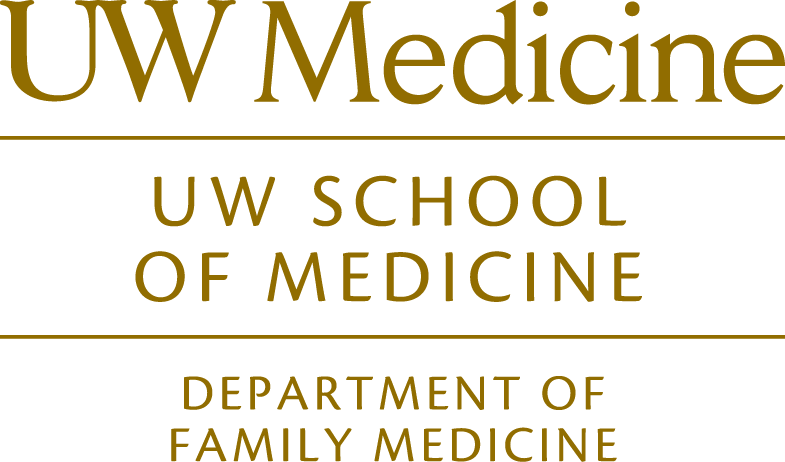 Other preclinical students, such as expanded students and those enrolled in the MSTP program, who did not enroll during first and second year, can meet with UP faculty and staff to discuss enrolling during the preclinical years. These will be considered on a case-by-case basis, and will include mapping out the pathway requirements and how they will be met. If you are a clinical student and you would like to apply, please review the requirements. Prepare a list of those you have met and set up an appointment with the Underserved Pathway Program Manager at upath@uw.edu or (206) 616-7889. As a bare minimum, you will need to have completed all the preclinical selectives and an appropriate preceptorship/RUOP/GHIP, to have a longitudinal relationship with a mentor who has experience with underserved communities or populations, and to have completed 8 hours of community service. It is best if your iii is also completed and on a topic relevant to the pathway. Enrollment into the Underserved Pathway must take place prior to the initiation of clinical rotations or Patient Care Phase. Enrollment in the preclinical years allows for completion of the preclinical requirements and for there to be the longitudinal connection to the pathway. As stated above, an initial UP requirement is to have all current UP students linked to a mentor by the end of fall during your second year (E14 and before), or by the end of the Life Cycle & Reproduction Block (E15 and after). It is important to join the UP close to this deadline, so you are linked you to a UP mentor as quickly as possible. Please specify any potential mentors on your UP application. If you are not aware of any potential mentors, then the UP Program Manager will work with you to help identify a UP mentor. If you are an expanded student and have not yet started clinical rotations or Patient Care Phase, it may still be possible to join the Undeserved Pathway. Having an existing mentoring relationship and having demonstrated interest in and work with underserved populations will be the main criteria for acceptance. Applicants will be considered on a case-by-case basis. The UP is a curriculum that spans medical school. Participation in this program is predicated on UP students having a longitudinal experience with the entire UP curriculum: This includes UP mentors, undeserved non-clinical selectives, underserved community experiences, clinical rotations, UP faculty/staff, and modules. It is for this reason that it is not possible to join the Underserved Pathway in the third or fourth year or during the Patient Care or Career Explorations Phases. Students can join multiple pathways. Our pathway works closely with the Global Health, Indian Health, and Hispanic Health Pathways. All of the courses and experiences from the Global Health Pathway, Indian Health Pathway, and Hispanic Health Pathway may be applied towards Underserved Pathway requirements. If you are considering leaving the pathway, we strongly recommend that you speak with a pathway advisor and your mentor. We understand that the competing demands of medical school can be stressful, and if at all possible, we’d like to provide you with the support you need during this time. If you determine that pursuing a pathway certificate is not going to work for you, you are free to “audit” the pathway by accessing the online modules and remaining on our mailing list so you’ll receive notices of relevant events.